Nicely and large restored property in a quiet aera with outbuildings and 7,8ha of land. 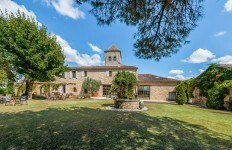 Ideal as an equestrian property located in the black Périgord. 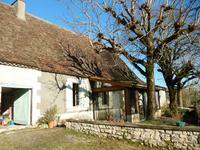 This lovely Périgordine comprises three bedrooms, a new bathroom, a large living room, an . . .
Farm restored with two independent gites, outbuildings, 4ha of enclosed meadows and woods, for sale close to Beaumont du Périgord. Renovated stone farm including in the main house : 2 bedrooms (11,40m2, 11,15m2), large . . . Wonderful property with gites and former tabacco drying shed with over 1ha of land. The property sits only 1,5km from the village of St Avit Senieur, a calm and quiet area with . . . Stunning country estate comprising main house with owner's accommodation and 4 superb guest . . .
A lot of potential for this farm to refresh but habitable with many outbuildings in very good . . .
Charming single storey stone house, with three bedrooms, in a quiet environment and close to shops and services in Beaumont. Charming stone house with three bedrooms, bathroom with toilet, living room with kitchen . . . This nice and well maintained stone house with high quality building materials is at not even . . .
Beautiful enclosed property. The main house offers nice volumes, 4 bedrooms, large open plan . 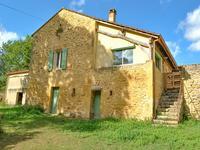 . .
Perigord noir - Stone farmhouse with land. A lovely, renovated, single storey, stone house offering three bedrooms for a living space of . . .
17th Century stone family home with 6 bedrooms for sale in historic village near Beaumont du Perigord in the Dordogne. This beautiful stone-built village house has been fully restored to create a comfortable, . . .
Renovated 2 bedroom home near Beaumont du Perigord with new roof, double glazing and mains drains ready to move into. This home has been well renovated inside and just needs the finishing touches to the . . .
Old farmhouse renovated with taste in a peaceful hamlet with swimming pool and near all shops. Calm assured! This beautiful Longère has a very stunning space of 110m2 with its stove, its apparent wooden . 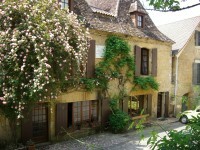 . .
House exceptionally restored with beautiful volumes in the heart of a bastide in the Dordogne; close to shops. A comfortable and spacious house! Set on three levels, this home has five bedrooms and five bathrooms. On the ground floor: A . . .